The latest issue of The Canadian Friend, our national magazine/newsletter, has reached most of our subscribers by mail now, and is also available electronically. This issue includes articles on Basic Guaranteed Income, the Palestine-Israel Quaker Study, and Electronic Surveillance, as well as an interview with CYM’s new secretary, news, reviews, and a lot more. The next issue is scheduled for June, and we’re still seeking submissions. The due date has been extended to April 15.
anything that might be of interest to Canadian Friends. Send submissions to The Canadian Friend‘s editor, Timothy Kitz, at editor@quaker.ca or c/o CYM Office, 91A Fourth Ave., Ottawa, ON, Canada, K1S 2L1. Articles should generally be 500-1200 words; exceptions are possible, but best first discussed with the editor. Financial Support for Families and Young Adults to Attend CYM 2018! 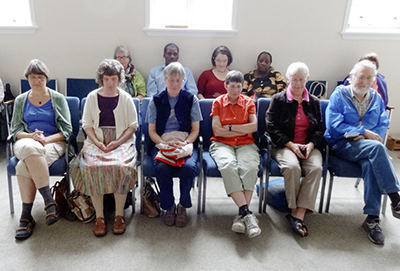 Substantial financial assistance is available to support attendance at Canadian Yearly Meeting (CYM) in Session (August 3-11) in Barrie, Ontario. For families with children (ages 18 and under) and for young adult Friends (ages 19-35), up to $850 is available per person. For adult Friends needing support, up to $450 is available per person. Approach your Monthly Meeting/Worship Group for financial support with attending CYM. If the Monthly Meeting/Worship Group cannot provide enough supplementary funds, then apply for a grant from CYM. Request a minute of support from your Meeting and include this in your application. Young Adult Friends are encouraged to contact Cameron Fraser, CYM Secretary, if obtaining a minute of support poses a challenge. Application form for a CYM financial assistance grant. Applications will be responded to on a first-come first-served basis. The CYM Treasurer or YM Secretary, in consultation with the CYM Accountant, will make decisions as applications are received. Travel distance will be a consideration in the provision of funds for travel to CYM. Applications will be considered up to July 22, 2018, if there is money left. Email: Contact the CYM Secretary or Education and Outreach Committee. 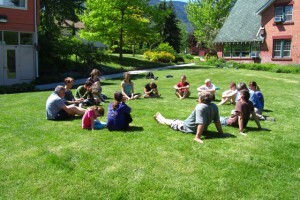 The 2018 Spring gathering of Western Half-Yearly Meeting (WHYM) will take place on the May long weekend (May 18-21) at the Sorrento Centre east of Kamloops. We invite all Friends and friends of Friends to join us in this vibrant gathering of Western Friends. We strongly encourage Friends to register by the deadline of May 1, as we may have difficulty accepting late registrations. The usual items will all be included in the Half-Yearly Meeting schedule – worship-sharing groups, special interest groups, Meetings for Worship including Business Meetings, and the phenomenal Family Night sharing of talents and fun. Friends are reminded to bring any books they may wish to pass along to other Friends; in light of the winding down of the Quaker Book Service, a book exchange table or tables will be set up. We have one special opportunity available for those who are able to arrive in Sorrento on Thursday. If enough people are interested, we will spend Friday morning and early afternoon at the Tk’emlups Museum and Heritage Park in Kamloops, which has taken over the Kamloops Indian Residential School building. More information is included with the registration material, and in the link below. For more information on WHYM 2018, including the schedule, business agenda, and details about the trip to Tk’emlups Museum and Heritage Park, please visit the WHYM 2018 page on the business side of our site. (Note that you will need to login into the business section, or create an account, to see that page). It’s a new year and time for you to dream and plan for your year ahead. 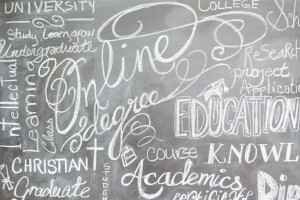 The Education and Outreach (E&O) Committee would like for you to consider using Candian Yearly Meeting grants and loans for your own Quaker learning. Have you longed to go to Pendle Hill? 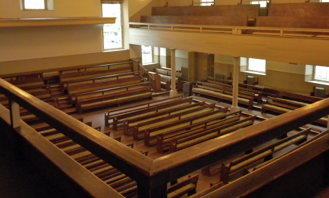 Do you need help to attend a Quaker conference? Learn more about Quaker Funding. E&O will be considering applications at our face-to-face meeting on April 19-22, 2018 in Victoria and would like to hear from applicants by April 15, 2018. (However, we are able to receive applications year-round). 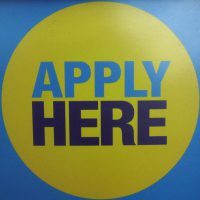 Pendle Hill grant applications need to be in by April. You will need a Minute of Support from your Monthly Meeting. Not only will this minute provide you with clearness and support for your leading, but the Meeting may also choose to offer additional funding. Please send in your application even if your Meeting does not meet in time for their minute of support to be sent with your application before our April 20 meeting. The committee is able to make conditional approvals, dependent upon receipt of minutes of support. Check out the application and grant information online. Read reports from Friends who attended previous educational events, and other grant recipient reports. 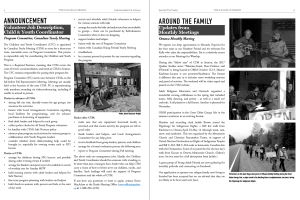 News is coming soon about family and Young Friends support to go to Yearly Meeting. Consider, discern, and look at our grants and loans.